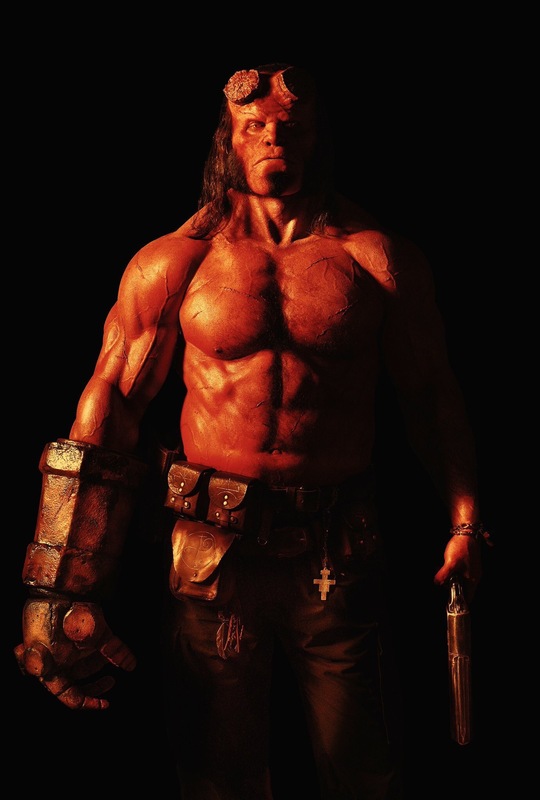 This is an image of Ron Perlman as Hellboy from Guillermo Del Toro’s 2008 movie, Hellboy II: The Golden Army. 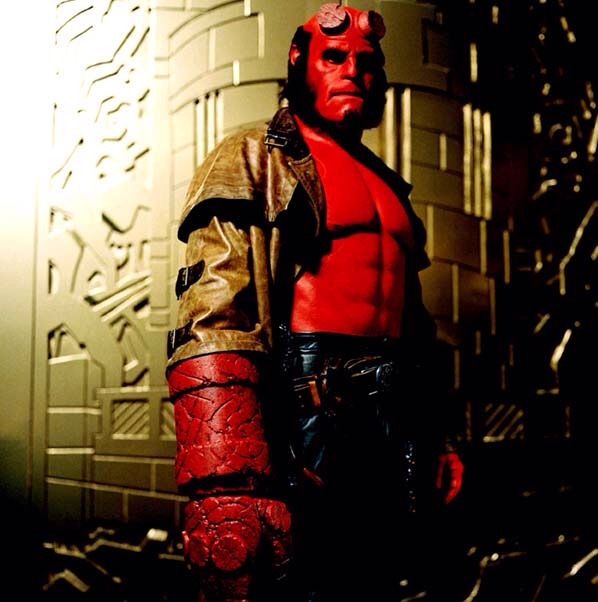 If anyone could be said to be destined to play a character it’s Perlman, who’s Hellboy looked like he was pulled from the pages of Mike Mignola’s comic. Flash forward to 2017 when the third film (Del Toro always intended to make a trilogy featuring Hellboy) was for a time considered, then abandoned. For awhile it appeared that that was the end of Hellboy movies for the foreseeable future, till we learned that there would indeed be another, though without the participation of either Del Toro or Perlman. This time around Hellboy will be directed by Neil Marshall (Dog Soldiers, The Descent, Doomsday) and played by David Harbour (Stranger Things). And I admit that it bothered me. Guillermo Del Toro is for my money one of the most visually interesting directors working today and to have someone else do what would have been the final chapter in his penultimate Hellboy story somehow felt…wrong. And to be sure, the way Del Toro either abandoned projects or had them fall apart for one reason or another didn’t exactly assuage my unease. I mention all the above because today an image was released of David Harbour as Hellboy and it looks…pretty damn good! He’s certainly more vascular than Perlman’s version of the character. And for me he visually gives off a very Conan-vibe, circa 2011 and Jason Momoa. I also like the moodier way he appears to be photographed. With Guillermo Del Toro I felt that he made sure that you were aware that you were watching a comic writ large, which was his intention. Neil Marshall may be taking an entirely different route in that the producers are working with a hard-R, as opposed to a PG-13 rating–thanks Deadpool though Blade should get the real credit–so a more visceral, physical feel is likely what the new producers are looking to achieve. Posted in actors, Dark Horse, directors, Marvel Comics, Movies, My Two Cents, upcoming.Tagged Conan, David Harbour, Dog Soldiers, Doomsday, Guillermo Del Toro, Hellboy II: The Golden Army, Jason Momoa, Neil Marshall, Ron Perlman, Stranger Things.